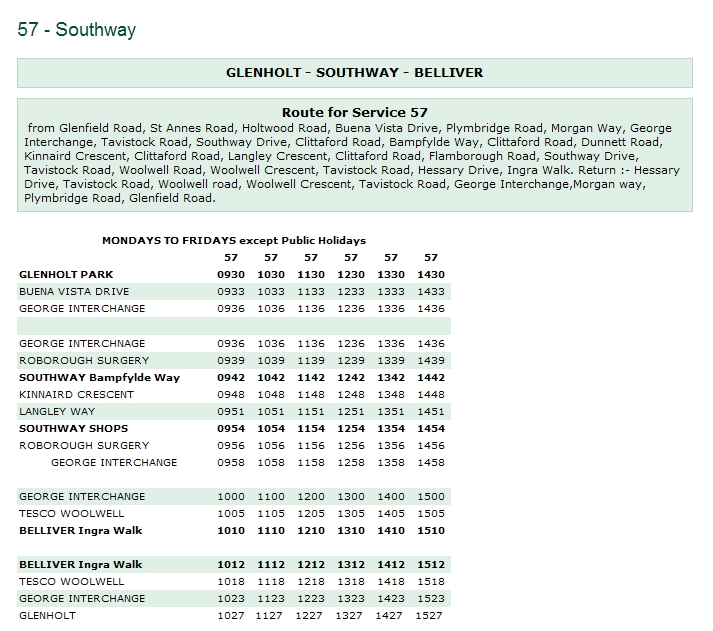 Variation Accepted by SN: Operating between Southway and Belliver given service number 57 effective from 31-Jan-2011. To amend Timetable. There have been two variations registered for this service. One back in November was from 10th January 2011 and then this one from the 31st. I am not sure if there was a separate timetable between the 10th and the 30th though. I believe the change has been the extension of the service into Glenholt to replace in part the withdrawn Northern Connect Taxibus service.